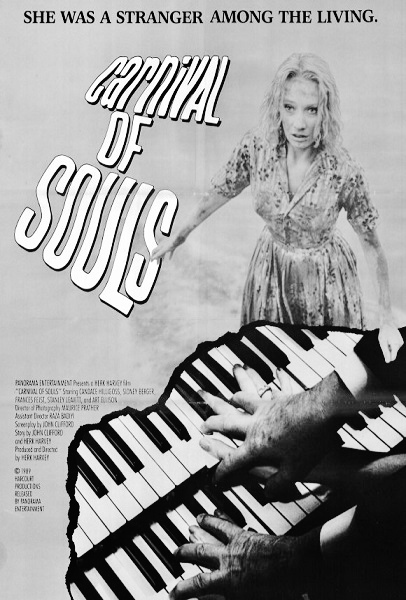 This episode Corinne and Tim accept an invitation to the dance and watch the cult horror classic Carnival of Souls from 1962. Listen in as they discuss feminist and LGBT interpretations of the film's story, speculate on the nature of the ghouls chasing heroine Candace Hilligoss, and detail the sad history of Saltair, the film's spooky centerpiece location. Warning: Contains explicit language, spoilers, and all the baths you want. Would you like to recommend some classics of organ music? Want to tweet at us about the spiritual restorative power of birds chirping? Do you just want to have someone hear you? Leave a comment and keep the conversation going.